Thursday August 4th 2016 saw a bevy of community leaders gather at Trinity Bellwoods Park for the unveiling of West Queen West’s latest green venture –bee planter pollinators –as part of their West Queen West’s Bee City and Outdoor Art Gallery initiative. 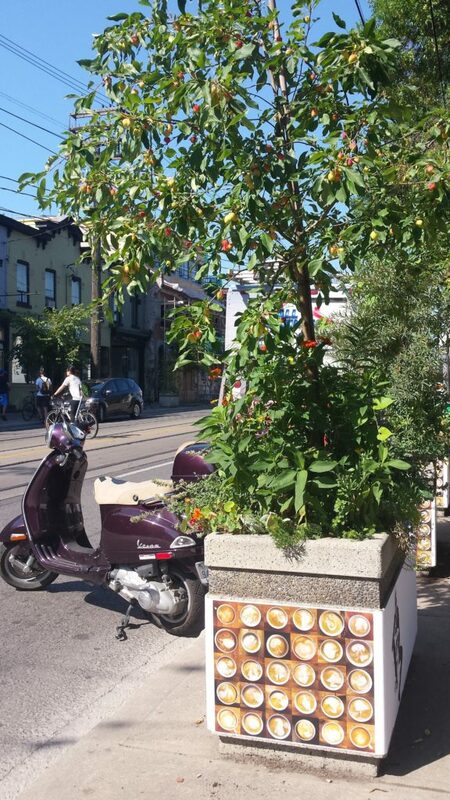 With the recent headlines of bee populations dwindling, it was the perfect time for the inception of freshly planted pollinators in the 77 planter boxes along Queen Street West. With loads of help from Green Gardeners, the planters are now filled with flowers and trees which include edible fruits such as crab-apples and strawberries. 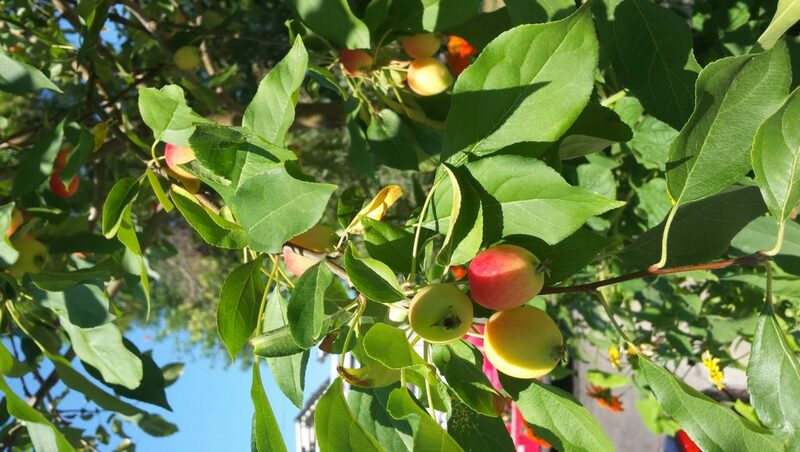 Passerby’s are encouraged to pick the fruits in the planters if they so wish! 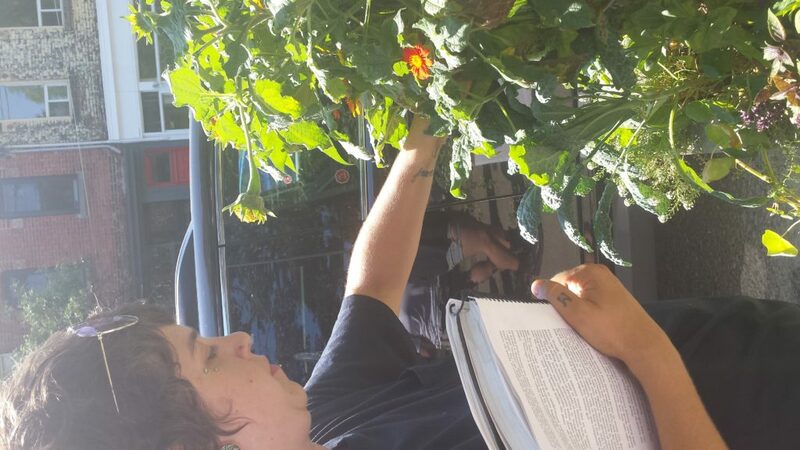 According to Andrew Roy of Comfrey Permaculture Gardening and Consulting , he purposefully picked each flower to go into the planter. His main concern was for the fauna to be multi-purpose, attracting not only the bees for pollination (their favourite colour is blue), but also for the newly planted species to be able to germinate during the winter months. Rob Sysak, the Executive Director of the WQW BIA, commenced the opening ceremony and was joined by Tom Hawkett of Mystreet, a digital app that promotes community initiatives through location proximity-based technology. Anyone can download the app and as they walk along designated sites, interactive pop-ups will inform them of events, promotions, and information about artwork on the street. For Hawkett, the Bee-City pollinator initiative is a “free outdoor public art platform’ for all Torontonians to enjoy. Edward Gajdel, the artist who designed the murals for each of the planters along the street of Queen west, was on hand to showcase his art. Edward is an artist whose work, the non-linear portrait project, features locals’ portraits on the side of the planters. 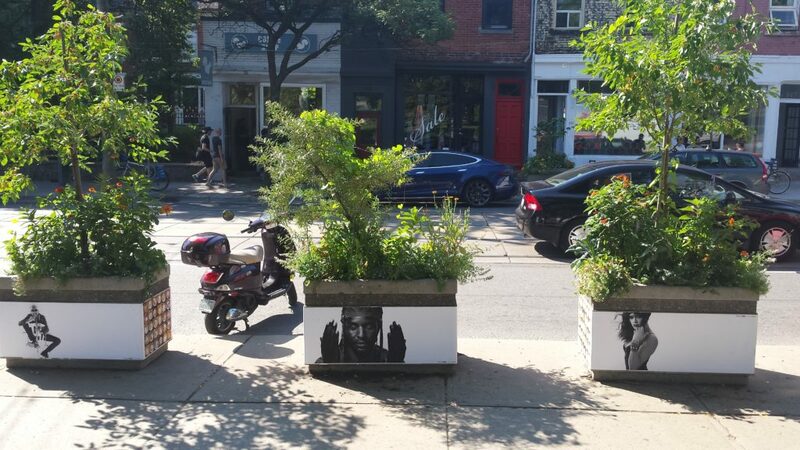 By the end of the summer, the BIA hopes to have over 40 planters covered in artwork, the exact reason why Hawkett calls the story on West Queen West “amazing”.